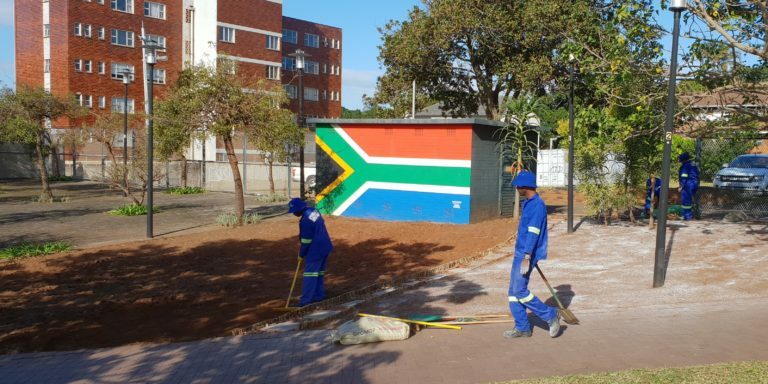 In response to the Florida Rd UIP’s request, the eThekwini Municipality (eTM) Parks Department kindly assisted with replacing the rear unkept flower bed at the Gordon Rd Park, with grass. This initiative was carried out with the intention of extending the bounds of the accessible area. The area was attended to during the course of last week. Thank you to the eThekwini Municipality for their much-appreciated assistance!